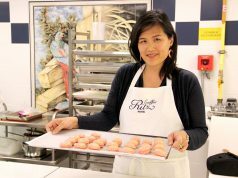 INSPIRELLE learns to make French macarons in the prestigious Ecole Ritz-Escoffier cooking school. Dreaming of becoming a French pastry chef? Molly Wilkinson shares the story of how she left the US to pursue her passion in France.